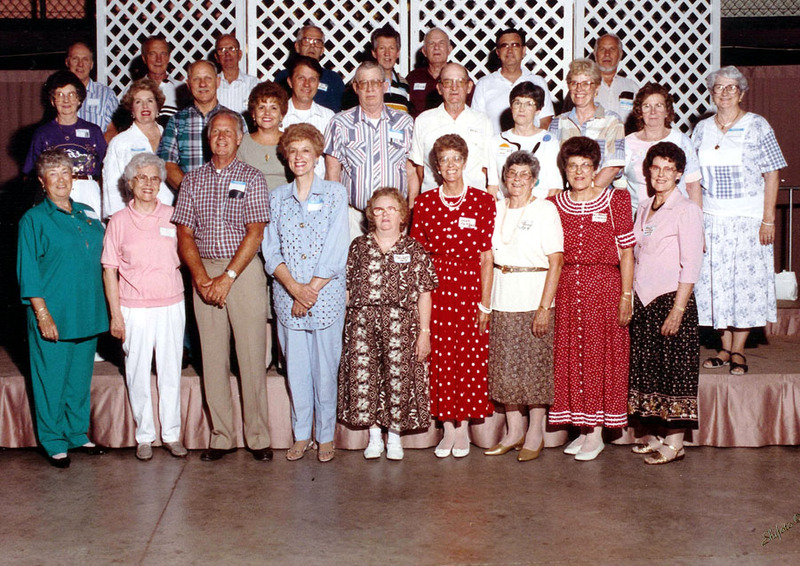 Thanks to the folks at Shifoto we now have pictures of both the 1995 and 1999 Whitby Group photos of the Coal Camp reunions held in July. I would also liketo say thanks to Betty Lou Warden Powell, Lynda Farley and Ginny and Bob Lilly for the names below. The links below will allow you to see both photos. I understand that all, if not most are from Whitby. It will be a goal of mine to attend the 2004 reunion, however, as the towns disappear, I feel it is vital to know who we are as well as who we were. Service was excellent by the way. 1st Row: Betty Warden Powell, Mabel Lee Bolen, Arnold Farley, Patty Thompson Calvert, Doris Jean Lowe, Cordia Halstead, Mary Halstead, Lois Halstead, Edith Halstead.